The Relevance Gap, a phenomenon where IT departments slowly become irrelevant to line of business (LOB) managers who make IT decisions on their own, continues to widen. 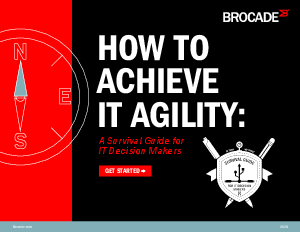 Achieving a sense of IT agility, the ability to close the gap, begins with understanding what kind of IT department you run and the recent industry challenges at hand. Download now to find out why the relevance gap could be a threat to you, assess your own network and discover what steps you need to take to achieve IT agility.